The Comhaltas Summer Seisiún shows will be hosted by 21 Munster branches this summer and will be getting underway over the next two weeks across the province. 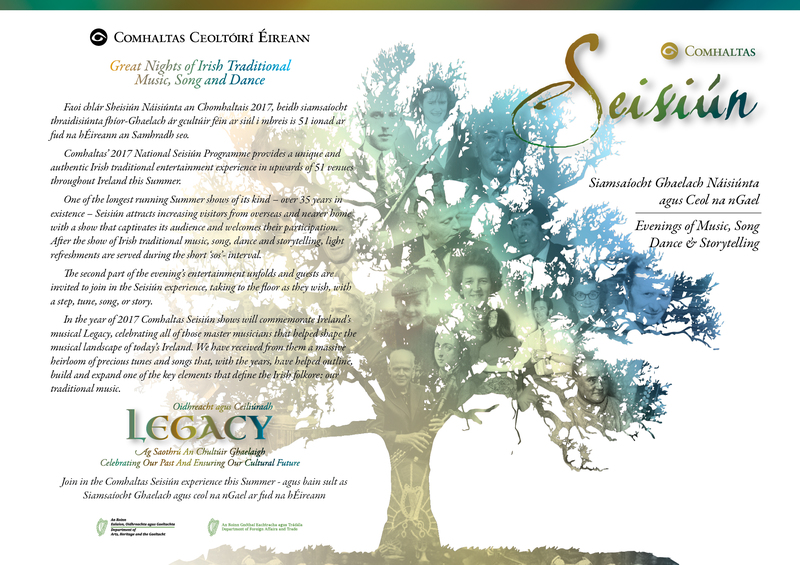 Each Séisiún show presents an evening of Irish traditional music, song, dance, stories and more, bringing our Irish cultural traditions to life and offering an unique audience experience for locals and visitors alike - a real taste of our cultural talent. The first part of the night promises a show with depth but variety as the various aspects of Irish dancing, solo and group instrumental music and singing in both Irish and English are showcased by a resident group of performers. After a break for tea, the evening concludes with an informal session where audiences are invited to take to the floor for a Siege of Ennis or The Walls of Limerick. Join in a song or if you play an instrument please bring it along! Please support your local Seisiún venue this Summer and spread the word to your branch members about your local Seisiún show.